I love pesto pasta, especially the creamy kind. Sadly, it has a ton of fat and calories. What with a half a cup of olive oil in the pesto and at least a 1/4 cup of cream, it’s a miracle I survived as long as I have eating it as much as I did. Now a days I am trying to eat healthier with less saturated fats and more veggies. So I have adapted the original recipe to what you see here. This version is much lighter than the original, with over 10 servings of veggies and only a small fraction of the oil while maintaining the creamy deliciousness of the original. 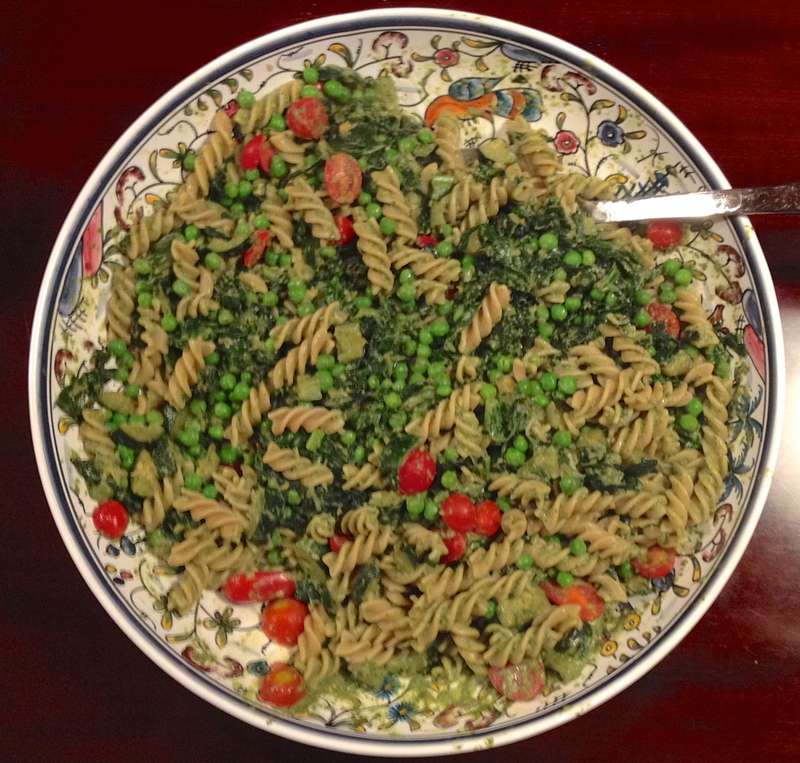 The real trick here is the nonfat yogurt mixed into the pesto and the use of pasta water to bring it all together at the end and create that silky, creamy sauce which makes this dish so delicious.